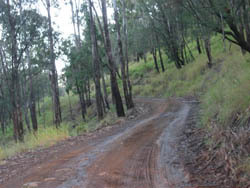 Great short 4x4 track to get to O'rielly's rather than the black top twisty Rd from Canungra. Very enjoyable drive through some lovely country with great views. One gate at bottom with a donation request.